Now is a great time to start thinking about hair removal in time for next year’s summer holiday. 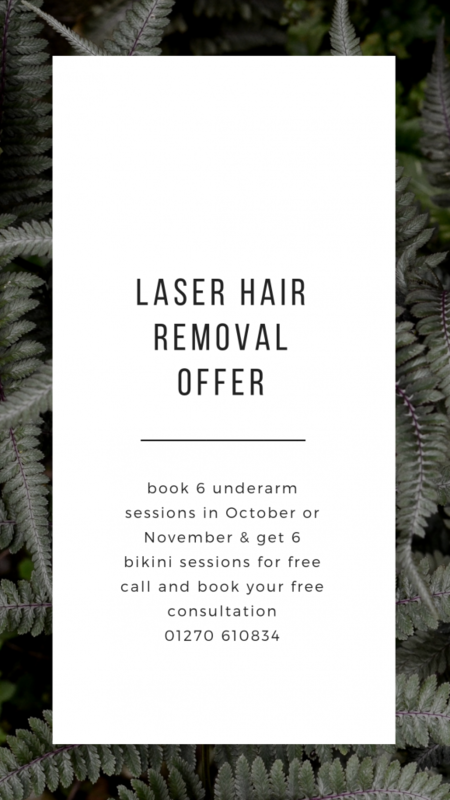 Book a course of 6 underarm laser hair removal sessions in October or November and receive 6 bikini line sessions for FREE! Call 01270 610834 to book your free consultation.